In 2013, I became interested in meditation as a form of developing mindfulness, self-awareness, and emotional intelligence to improve performance and general well-being. Like most people, I was incredibly skeptical at first. Sitting still and quiet has never been something I’ve found particularly enticing; I’m much more comfortable being constantly stimulated by music, TV, podcasts, and the internet. However, I've also noticed that in many ways, technology has shortened my attention span and altered the way I think and work. This has driven a personal interest in products that are able to flip the paradigm and have the opposite effect, sparking deep stages of productivity and calm. Throughout the last 15 months, I’ve had many false steps with starting and maintaining a meditation practice. I’ve often thought “I’m doing this wrong” or spent an entire session being unable to quiet my inner parade of thoughts. One toolkit that has proved immensely helpful in this regard has been the recent proliferation of meditation apps. My phone is within reach for almost the entire day, and I’ve found it extremely accessible to just plug in my headphones for 5 or 10 minutes for a brief break in my day to center myself. There are three apps that I’ve discovered in this space that might be helpful for others, no matter how skeptical of meditation you may be. Calm is the meditation app I’ve used the most and found the most success with in advancing my practice. For $9.99/year, Calm provides access to a set of guided meditations of varying length and amount of instruction. You can scroll through different background environments, each with their own unique set of ambient noises, then select a guided meditation or simply set a timer for your desired amount of time. Call me silly, but the simple feature that has got me to use Calm consistently is the “streak.” I love the feeling of progress that comes from seeing that I've been able to establish a daily habit, and I don't want to let myself down by not completing a session every day! 2. 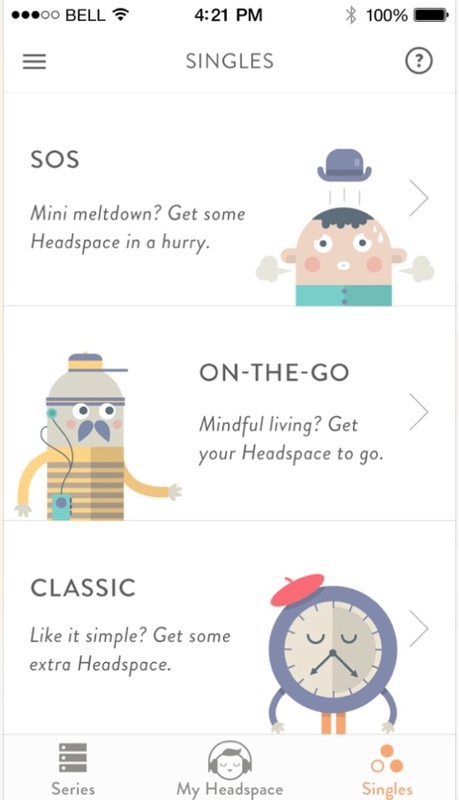 Headspace Narrated by a guy named Andy who does an amazing job of making meditation feel approachable, Headspace is quickly growing into a meditation community of users who absolutely love the product. Headspace starts with 10 sessions, each just 10 minutes, designed to get you familiar and comfortable with meditation practices and is a great jumping off point for anyone interested in flexing their mindfulness muscle. Stingy as I am, I haven’t explored the paid version of the app yet ($7.99/month), but based on the glowing reviews in the app store and growing community online, it’s sure to not disappoint. 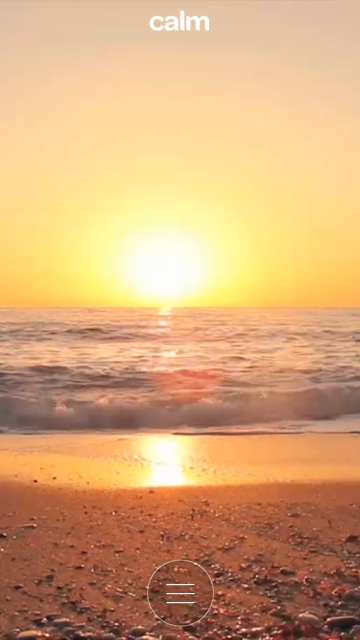 A product of Mindvalley Creations, which has an entire suite of mindfulness products, Omvana users are provided with a few free guided relaxations to start off, which you can mix with calming background noises for some pretty engaging effects. When you tire of the free tracks, Omvana has a paid library modeled on the iTunes store which makes for an intuitive design. The reason I haven’t experimented with Omvana more is that past the basic library, individual tracks cost around $5 each. Although it’s easy to see how some people would end up spending a lot on the product, I much prefer the subscription model with access to a full library. These platforms are surely still in their infancy, but it will be interesting to see how their products and designs evolve with the introduction of HealthKit, wearable devices that can detect your respiratory rate, and other advances at the intersection of mindfulness and technology. Older PostEat Plants and Natural Foods. Not Too Much.